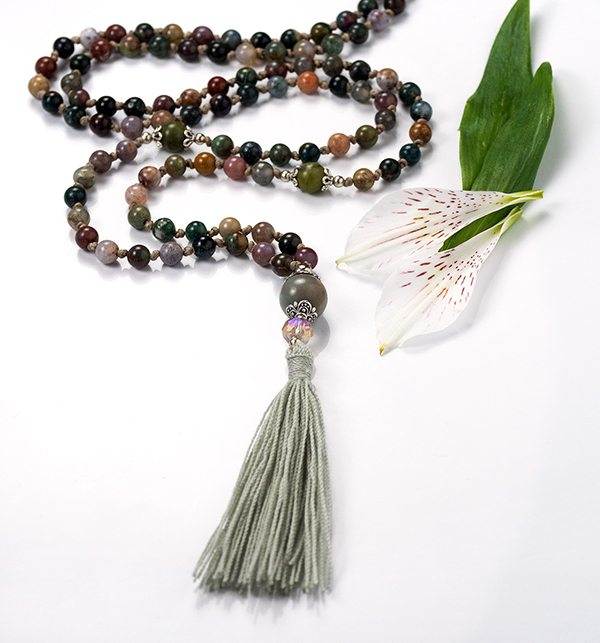 Moss agate malabeads with embellished tassel. 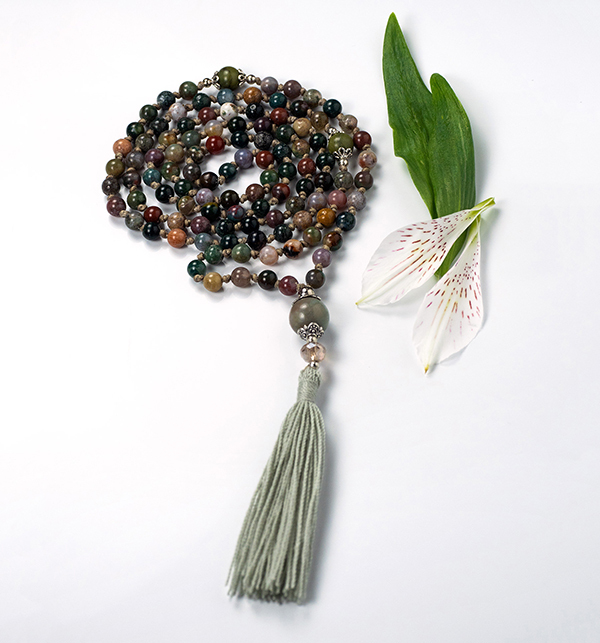 108 stone beads, length 55cm. Strong connection to the nature. Refreshens the soul and grounds to the earth. Releases old habits and inspires growth. 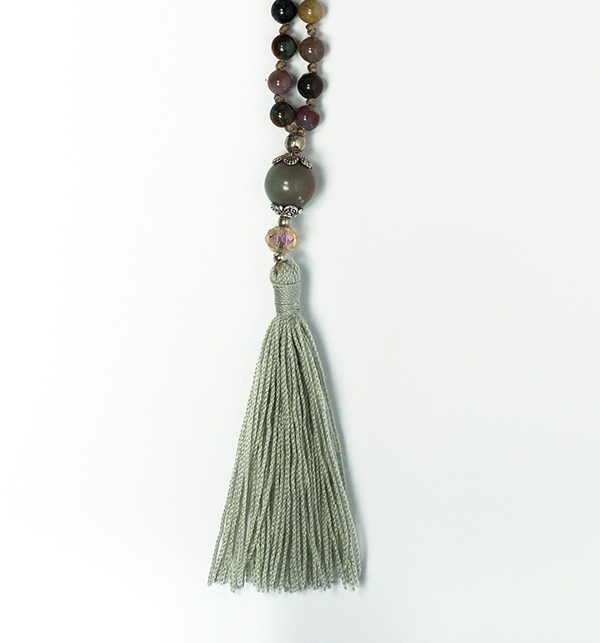 Creates abundance.